Discussion in 'Gaming (Software and Graphics Cards)' started by Ultra Male, Feb 4, 2019.
jaybee83, j95, Vistar Shook and 2 others like this. Wait...what? SLI still exists? I've given up on SLI 2 years ago. Great for synthetic benchmarks and bragging rights...huge waste of money for getting any actual performance benefit in games from it...that...and the micro stuttering...SLI...never again! thegreatsquare, j95, Vistar Shook and 3 others like this. @Ultra Male Please post your benchmark results. If you already have tested... Could you smell something weird? j95, Falkentyne, Vistar Shook and 1 other person like this. Very nice picture to misinterpret... Anyways Ultra Male will use his ultra Spear to kill the problem at the core. cj_miranda23 and Ultra Male like this. 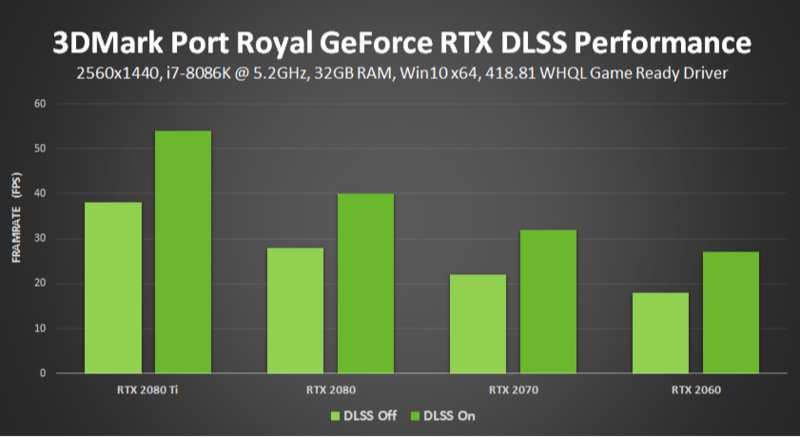 NVIDIA_DEV.1E90 = "NVIDIA GeForce RTX 2080"
NVIDIA_DEV.1ED0 = "NVIDIA GeForce RTX 2080"
NVIDIA_DEV.1F10 = "NVIDIA GeForce RTX 2070"
NVIDIA_DEV.1F11 = "NVIDIA GeForce RTX 2060"
NVIDIA_DEV.1F50 = "NVIDIA GeForce RTX 2070"
NVIDIA_DEV.1F51 = "NVIDIA GeForce RTX 2060"
NVIDIA_DEV.1E90.7509.1558 = "NVIDIA GeForce RTX 2080"
NVIDIA_DEV.1E90.7709.1558 = "NVIDIA GeForce RTX 2080"
NVIDIA_DEV.1E90.95E1.1558 = "NVIDIA GeForce RTX 2080 with Max-Q Design"
NVIDIA_DEV.1E90.97E1.1558 = "NVIDIA GeForce RTX 2080 with Max-Q Design"
NVIDIA_DEV.1ED0.7510.1558 = "NVIDIA GeForce RTX 2080"
NVIDIA_DEV.1ED0.7710.1558 = "NVIDIA GeForce RTX 2080"
NVIDIA_DEV.1F10.65D1.1558 = "NVIDIA GeForce RTX 2070"
NVIDIA_DEV.1F10.7509.1558 = "NVIDIA GeForce RTX 2070"
NVIDIA_DEV.1F10.7709.1558 = "NVIDIA GeForce RTX 2070"
NVIDIA_DEV.1F10.95E1.1558 = "NVIDIA GeForce RTX 2070 with Max-Q Design"
NVIDIA_DEV.1F10.97E1.1558 = "NVIDIA GeForce RTX 2070 with Max-Q Design"
NVIDIA_DEV.1F11.65D1.1558 = "NVIDIA GeForce RTX 2060"
NVIDIA_DEV.1F11.7509.1558 = "NVIDIA GeForce RTX 2060"
NVIDIA_DEV.1F11.7709.1558 = "NVIDIA GeForce RTX 2060"
NVIDIA_DEV.1F11.951D.1558 = "NVIDIA GeForce RTX 2060"
NVIDIA_DEV.1F11.95E1.1558 = "NVIDIA GeForce RTX 2060"
NVIDIA_DEV.1F11.971D.1558 = "NVIDIA GeForce RTX 2060"
NVIDIA_DEV.1F11.97E1.1558 = "NVIDIA GeForce RTX 2060"
NVIDIA_DEV.1F50.7510.1558 = "NVIDIA GeForce RTX 2070"
NVIDIA_DEV.1F50.7710.1558 = "NVIDIA GeForce RTX 2070"
NVIDIA_DEV.1F51.65D4.1558 = "NVIDIA GeForce RTX 2060"
NVIDIA_DEV.1F51.7510.1558 = "NVIDIA GeForce RTX 2060"
NVIDIA_DEV.1F51.7710.1558 = "NVIDIA GeForce RTX 2060"
NVIDIA_DEV.1BA0 = "NVIDIA GeForce GTX 1080"
NVIDIA_DEV.1BE0 = "NVIDIA GeForce GTX 1080"
NVIDIA_DEV.1BA1 = "NVIDIA GeForce GTX 1070"
NVIDIA_DEV.1BE1 = "NVIDIA GeForce GTX 1070"
NVIDIA_DEV.1C20 = "NVIDIA GeForce GTX 1060"
NVIDIA_DEV.1C60 = "NVIDIA GeForce GTX 1060"
NVIDIA_DEV.1C8C = "NVIDIA GeForce GTX 1050 Ti"
NVIDIA_DEV.1C8D = "NVIDIA GeForce GTX 1050"
NVIDIA_DEV.161A = "NVIDIA GeForce GTX 980"
NVIDIA_DEV.13D8 = "NVIDIA GeForce GTX 970M"
NVIDIA_DEV.13D9 = "NVIDIA GeForce GTX 965M"
NVIDIA_DEV.1617 = "NVIDIA GeForce GTX 980M"
NVIDIA_DEV.1618 = "NVIDIA GeForce GTX 970M"
NVIDIA_DEV.1198 = "NVIDIA GeForce GTX 880M"
NVIDIA_DEV.1199 = "NVIDIA GeForce GTX 870M"
NVIDIA_DEV.119A = "NVIDIA GeForce GTX 860M"
NVIDIA_DEV.119F = "NVIDIA GeForce GTX 780M"
NVIDIA_DEV.11E0 = "NVIDIA GeForce GTX 770M"
NVIDIA_DEV.11E1 = "NVIDIA GeForce GTX 765M"
NVIDIA_DEV.11A0 = "NVIDIA GeForce GTX 680M"
NVIDIA_DEV.11A2 = "NVIDIA GeForce GTX 675MX"
NVIDIA_DEV.11A1 = "NVIDIA GeForce GTX 670MX"
NVIDIA_DEV.0FD4 = "NVIDIA GeForce GTX 660M"
jaybee83, Vasudev and Papusan like this.